June 2010 - Cookbook Special!! Buy one cookbook and purchase 2nd for 1/2 price. July 2010 - Another Cookbook Special!! A $40.00 value, ask at time of your arrival. RESERVATIONS ONLINE CLICK HERE. On the west side of town is where you will find everything trains. You won't want to miss anything, which includes the Strasburg Railroad, Railroad Museum of Pennsylvania, National Toy Train Museum, and the Choo Choo Barn. Taking the rain ride, you will probably want to stop and visit Cherry Crest Farm. Their corn maze is due to open in July. This quaint little town has a lot packed in a small area. Not far from Strasburg is the Hans Herr House, the oldest structure in Lancaster County. Downtown Strasburg has stores, shops and a variety of places for dining, including The Iron Horse Inn. Just west of the town, you will want to check out Village Greens Miniature Golf. Enjoy their lush gardens and shaded greens on the 23 hole course. 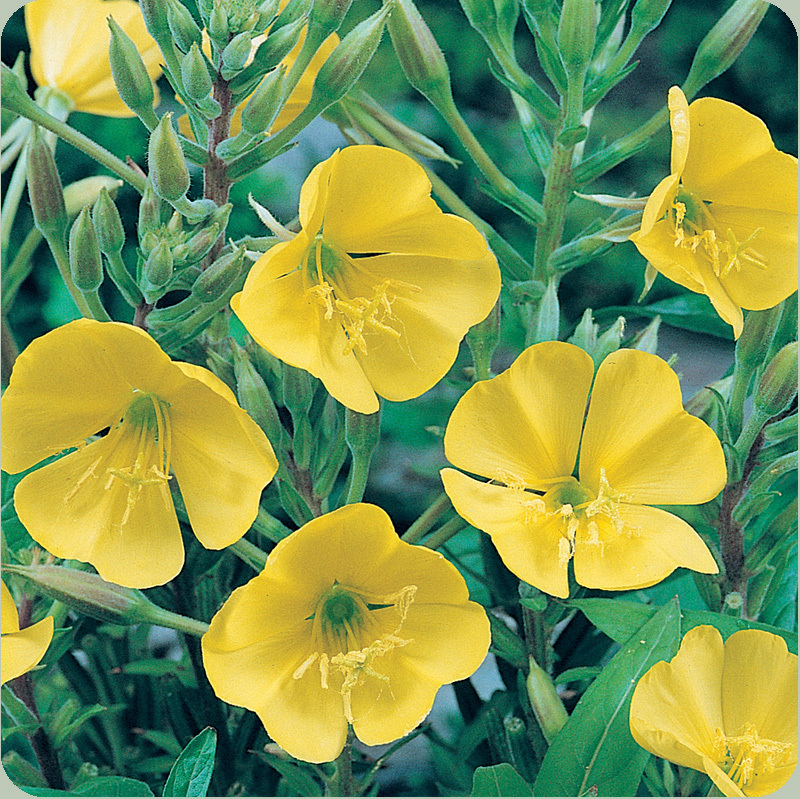 Back again by popular demand the famous After Eight Evening Primrose Show. As so many guests have enjoyed in the past, these evening bloomers are just starting to form flower buds and in a few days they will start to bloom every evening for about 2 months. Guests have been amazed at actually being able to watch these flowers open right before their eyes like time lapsed photography. And if you are lucky you will get a glimpse of the Hummingbird Moth that comes to pollinate and keep these biannuals coming back each year. My thanks to all my guests that make each day unique and enjoyable. Hope to see you soon.